I met Fred Beckey for the first time during a dinner party at the house of another Seattle-based alpinist Alex Bertulis. Since I was only two at the time, all I have are my mom’s impressions of Fred: “He wasn’t very social and left the room early to go look at maps and pictures.” Her words are typical of a non-climber, or of recreational climbers, who don’t comprehend the magnitude of Fred’s achievements. First impressions of Fred are that he’s disheveled, he’s extremely frugal and he’s never settled down—his is a vagabond life of never-ending climbing trips, even in his late 80s. These are not faults, but conscious choices in the life of someone who dedicates everything to his passion of climbing mountains. To fault Fred for these attributes would be to complain that Einstein spent too much time cooped up scribbling equations, or to ridicule Beethoven for all his time sitting at a piano. Fred’s seemingly chaotic lifestyle is, in fact, a careful plan of ultimate dedication. The groundbreaking life story of Fred Beckey is being told for the first time in Dirtbag: The Legend of Fred Beckey. Please support the making of this exclusive documentary film by backing the Kickstarter campaign before August 25, 2016. Fred Beckey is the most accomplished climber of all time. The volume of climbing he has done, near and at the cutting edge, is leagues beyond anyone else. At an early age in the Cascades, Fred got on an express train of bold, difficult, adventurous and beautiful first ascents across North America, and the train hasn’t stopped for 70 years. After making first ascents of all the best, most sought-after objectives in the Cascades, Fred went on to the Bugaboos, the British Columbia Coast Range, Alaska, the Canadian Rockies, the Wind Rivers and beyond. 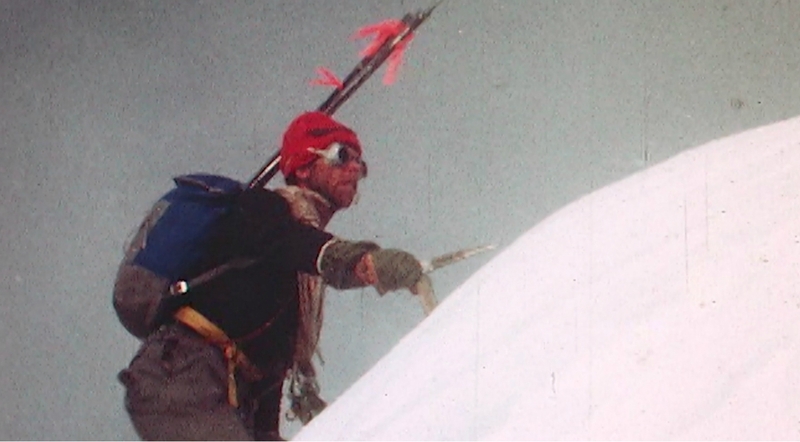 In nearly every mountain range on the continent, many of the most striking lines were first ascents of Fred’s. And not just rock spires, but huge, committing climbs, such as the first ascents of Mount Hunter, Mount Deborah and Devil’s Thumb. In 1942, just four years after the first ascent of the Eiger Nordwand, Fred and his brother Helmy made the second ascent of Mount Waddington. At the time it was the most difficult route on the continent, and one of the most difficult in the world. Fred was 19, and Helmy celebrated his 17th birthday the day after they reached the summit. The equivalent feat today would be if two teenagers were to make the second ascent of the Kurtyka-Schauer route to the summit of Pakistan’s Gasherbrum IV—an ascent that would stun and awe the climbing world. 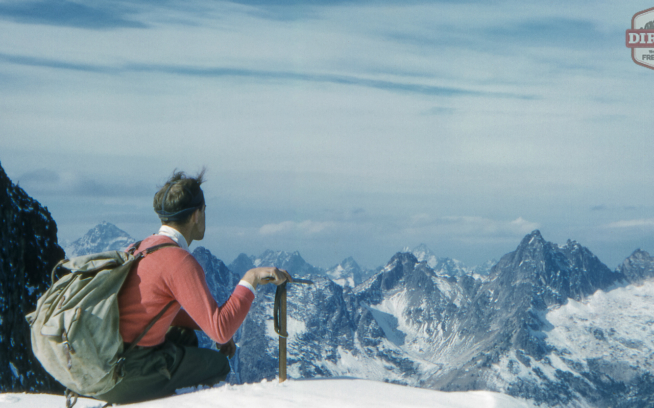 Year after year, decade after decade, Fred’s drive for first ascents has never dwindled. Working temporary jobs, taking extended back-to-back road trips, and dining on condiment packets, Fred is the original climber dirtbag. All the climbers you see today in Squamish, Camp 4 and Indian Creek, sacrificing comfort and security for more climbing days, are following Fred’s lead. Although his lifestyle is simple, Fred’s mind is not. Extremely intelligent, a meticulous researcher, a knowledgeable geologist and the author of many books, Fred is one of the premier mountain historians in the world and certainly the authority on the coast ranges of Alaska, B.C. and Washington. A quick glimpse into Range of Glaciers will reveal an astounding depth of research on the early exploration of the Cascades. Fred’s best-known work, the Cascade Alpine Guides (also known as the “Beckey Bible”), is the most comprehensive collection of guidebooks to any mountain range in the world. On a family trip during high school, Fred’s autobiographical tome Challenge of the North Cascades saved me from the boredom of Hawai‘i’s sandy beaches with tales of hardship on the dark, steep walls of peaks such as Mounts Slesse and Hozomeen. In July 2003, when I was fresh out of high school and Fred was already in his early 80s, he strolled into the Seattle climbing shop where I worked. With an eagerness to climb, and an understanding boss, I was an easy recruit for a quick trip up to Mount Adamant in B.C.’s Selkirk Mountains. Although Fred’s age slowed him on the summit snow slopes, he was as graceful as ever on the steep, white granite buttress below. Watching his calloused hands work their magic, I wondered how many thousands upon thousands of feet of alpine rock those hands had touched. I can’t help but see parallels between Fred’s life and mine, such as a long apprenticeship in the Cascades at an early age, and a seemingly insatiable appetite for alpine climbing. And though no one could ever hope to accomplish in the alpine world what Fred has, it is nice to have a hero to emulate—and, luckily for me, to share a summit with. This story first appeared in the Fall 2011 Patagonia Catalog. Fred Beckey is the original American dirtbag mountaineer. The groundbreaking life story of this rebel athlete, who inspired generations of climbers with his monumental first ascents and eloquent books, is being told for the first time in Dirtbag: The Legend of Fred Beckey. Please support the making of this exclusive documentary film by backing the Kickstarter campaign before August 25, 2016.